Next time you are at your desk, have a quick look around the office and count how many items there are that use an electrical power source. We can guess at a few: your computer, perhaps a lamp and printer, and maybe a photocopier. Then you have the likes of phone chargers, Wi-Fi equipment, and maybe heaters. And what about the cleaning team? They will use vacuum cleaners that are mains powered, and maybe other devices. Plus, there’s the staff kitchen, in which you most likely have a kettle, and perhaps a microwave oven. All of these use electric mains power, and that means they need to subject to Portable Appliance Testing, or PAT. In the UK and Ireland, PAT testing is a legal requirement, no matter the power or size of the item in question. Electrical faults can be dangerous and potentially damaging, so they need to be sorted out as soon as they are discovered. What is PAT testing, and how do you go about bringing your office into line? Let’s have a closer look. A PAT test will begin with a simple visual check; the tester will look for any damage to the appliance itself or to the cables and connectors that carry the charge. This could be frayed cables or cracked plastic. They will also check with special PAT testing devices for correct earthing, voltage output, and resistance. There are other tests, but put simply, the PAT test discovers whether the item in question complies with the industry standards for Health and Safety requirements. Should the item pass, it will be labelled with a date and the signature of the tester. If it fails, for whatever reason, it is the employer’s responsibility to ensure it is not used again until fixed and passed at a future review. 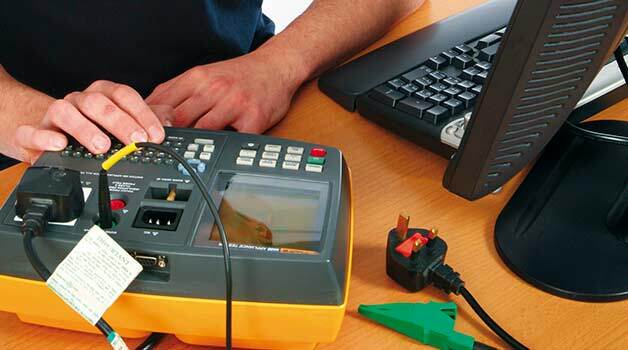 All records of PAT tests must be kept for 5 years, and are required to be provided for inspection if needed, and for items that may be taken off-site, the relevant certification needs to be taken too. It’s also worth noting that microwave ovens have their own specific set of tests, relating mainly to the radiation aspect and ensuring it stops as soon as the device is switched off. So, you do need PAT testing in your office, but who can you get to carry out the procedure? In the UK and Ireland there is no requirement for anyone to have a qualification to carry out PAT tests. The regulations state that a ‘competent person’ is all that is needed. This is fine for when performing the visual checks, but we strongly suggest that if you want to have your PAT testing carried out by one or more of your employees, you send them on one of the many short training courses that are offered across the country, and that will teach them how to use the devices needed for PAT tests correctly. Turn to PAT Testers for more information. If you do not want to have someone trained in-house, there are companies that offer PAT testing services, and this can be a very sensible method of ensuring you get accurate results and efficient performance. After all, electrical faults can be dangerous, so you need to know from someone who is able that your electrical appliances are performing safely and as they should be. These tests can at times be unsafe, so hiring someone who will use the right protective equipment is important. Check out PAT testing services now for all the information you need, and to learn about courses that you or your employees can take to learn more about what is required from this important part of the business.